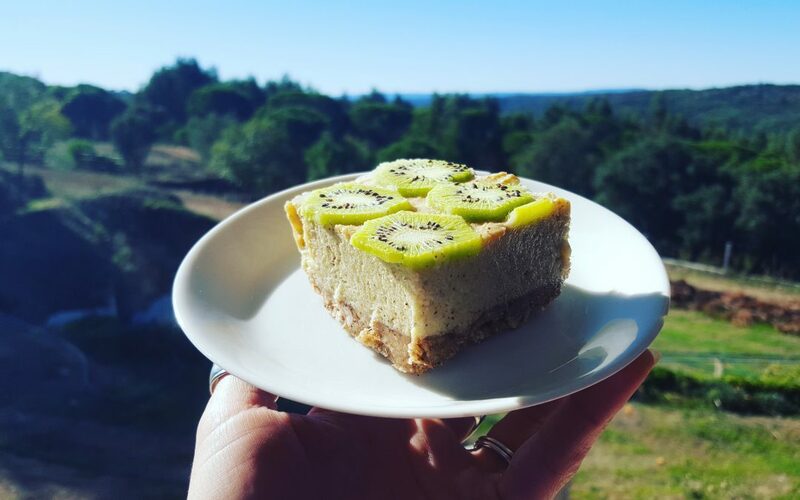 This is Kiwi Yumminess at it’s best! Place all base ingredients into the food processor and mix well. Tip mixture into cake tin (I use a spring-form tin so it’s easy to remove from the tin afterwards). Push mixture down into the base really well and set aside. Place all the cheesecake layer ingredients into a food processor and blend well. Pour mixture on top of the base in the cake tin and smooth out. Slice the last kiwi thinly and lay on the top. Place in the freezer for at least 4-5 hours. Remove the cake from the freezer an hour before you wish to eat it and pop it out of the tin. You can place in back in the freezer for as long as you like, if you don’t eat it all. My second book, Cleanse – The Holistic Detox Program for Mind, Body and Soul here.